Jamie needs to register an alternate trade name to operate the market under. Pat presented a report entitled “How Green is London” (on City website), explaining how environmentally conscious various communities within the city are. Pat explained the “Back to the River” program, which seeks to find innovative ways to make better use of the city’s waterfront – the old Victoria hospital lands are one of the locations selected for a project as part of this. Food not lawns gave some trees to Meredith Park, they have more to give us. The hope is to also plant these in the park. Volunteers are needed, both for the planting and for maintaining the trees on an ongoing basis. If you want to volunteer, please fill out this doodle poll to help choose a date. We are finally getting our pocket park at Horton/Richmond, a community planning event is scheduled for Thursday, June 11th from 4pm-7pm at the park location. Construction on South/Colborne will proceed through the summer, major upgrades will be happening along Colborne, including separated bike lanes. A public participation meeting will be held to discuss converting Grey/South to two way (date forthcoming). The newsletter should be completed by June 9th, and wherever possible should be coordinated with events to allow for free advertising. The Duchess of Kent Legion is looking to move to the former officer’s mess at Wolsely Barracks, please contact the minister of defence to show your support for this. Our AGM is next month, Cheri is looking to use a theme of SoHo Superheroes, choose someone who does a lot for the community and nominate them! June 27th is Celebrate SoHo and the Junk in the Trunk sale at the Legion. 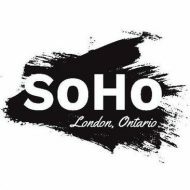 Inside will be an information/fun fair showcasing SoHo businesses, individuals, and organizations. Outside will be the sale. Tables inside will be $15 for SoHo businesses, $10 for SoHo Non-profits/organizations, and $25 for businesses/organizations located outside of SoHo. Tables outside for the sale will be $10 for SoHo residents and $20 for everyone else. Please contact Cheri at london.ca@gmail.com or (519) 661-8581 for more information.